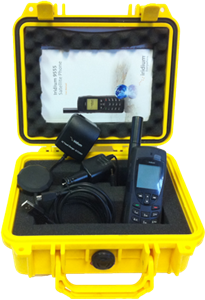 Standard kit includes Phone, 110vac chager, USB data cable. Although you do not pay for calls inbound to your rental, friends and family trying to reach you may be charged $10 or more per minute by their telephone carrier (i.e. ATT and others). Our Voco service creates a local dial-in number direct to your rental and bills it at OCENS standard pay-as-you-use rate.